Welcome to the July edition of the Wednesday Artisan Blog Hop! 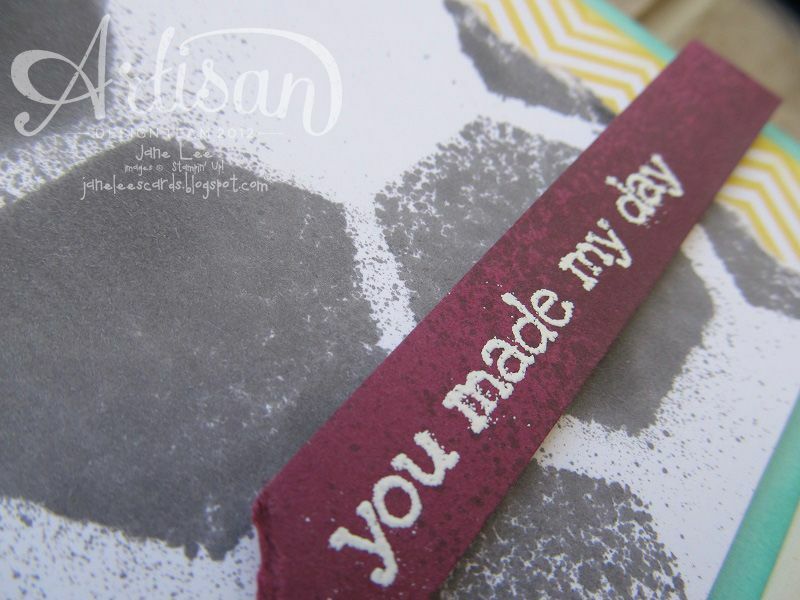 Check back every Wednesday to see new projects that 10 Stampin' Up! Artisan's have created. Did you just come from Heidi's blog? I love her AND her projects! Everything she creates inspires me. Fo' realz! How did I get these awesome hexagons, you ask? 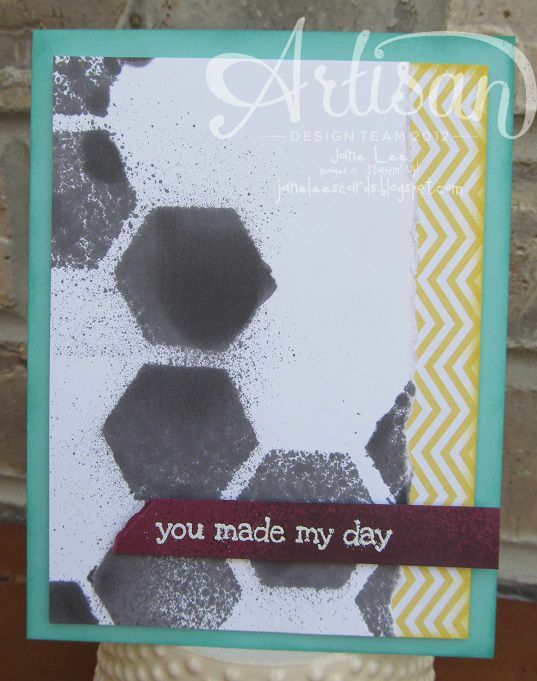 I punched out a few hexagons on some scrap paper to create a template. Then lay the template on your paper and spritz away. I am in love with how this turned out!! 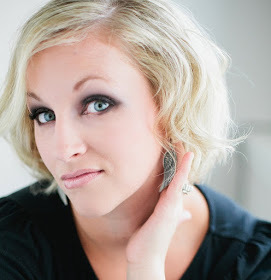 Now head on over to Jeanna's blog. I love love LOVE her and all her projects. I promise you will not be disappointed.